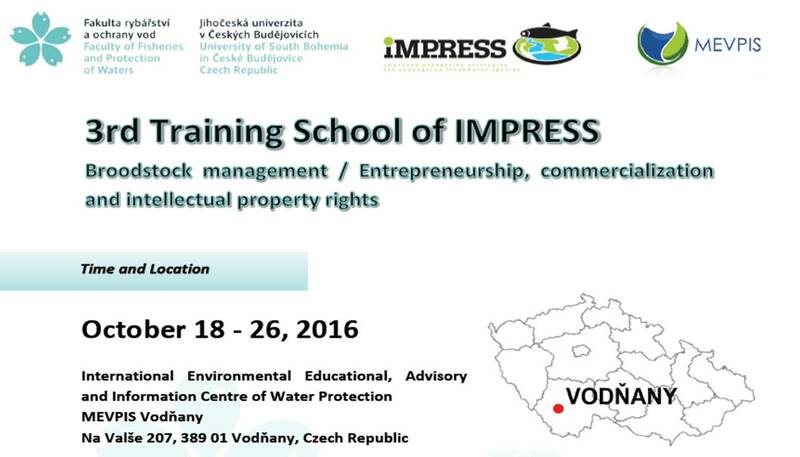 The ITN IMPRESS has organized their 3rd Training School in Vodnany (Czech Republic), October 18th – 26th, 2016. It’s entitled “Brookstock management / Entrepreneurship, commercialization and intellectual property rights”. Registration is open to any student who would like to apply, so please feel free to disseminate this announcement. This entry was posted in Sin categoría on 20 September, 2016 by Pepa.